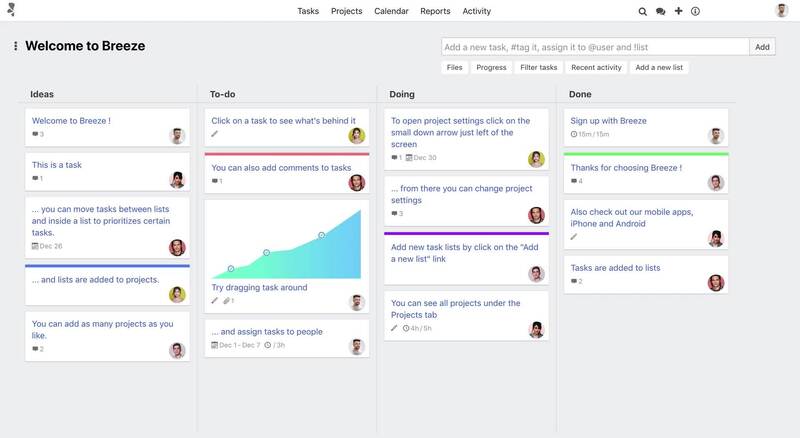 Keep your team and projects on track. Breeze shows you how your projects are advancing and if there are any roadblocks in the overall progress. 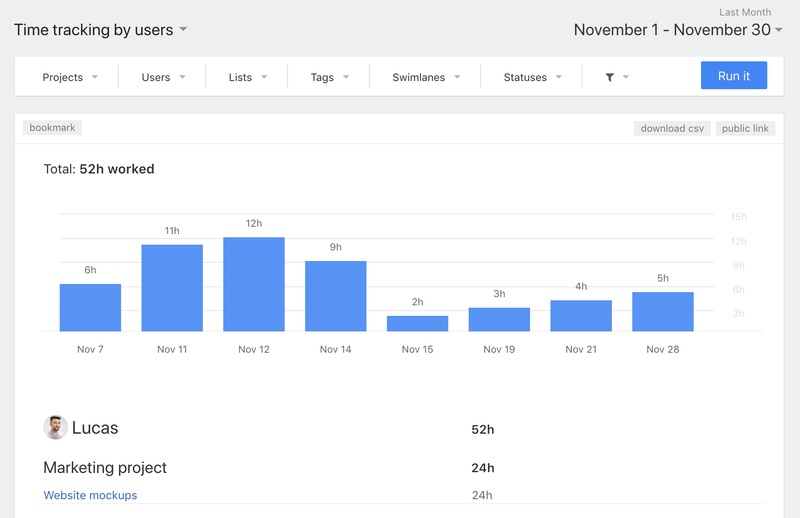 Set deadlines, manage status and get a visual overview of your team's effort. All your work in one place, always accessible. 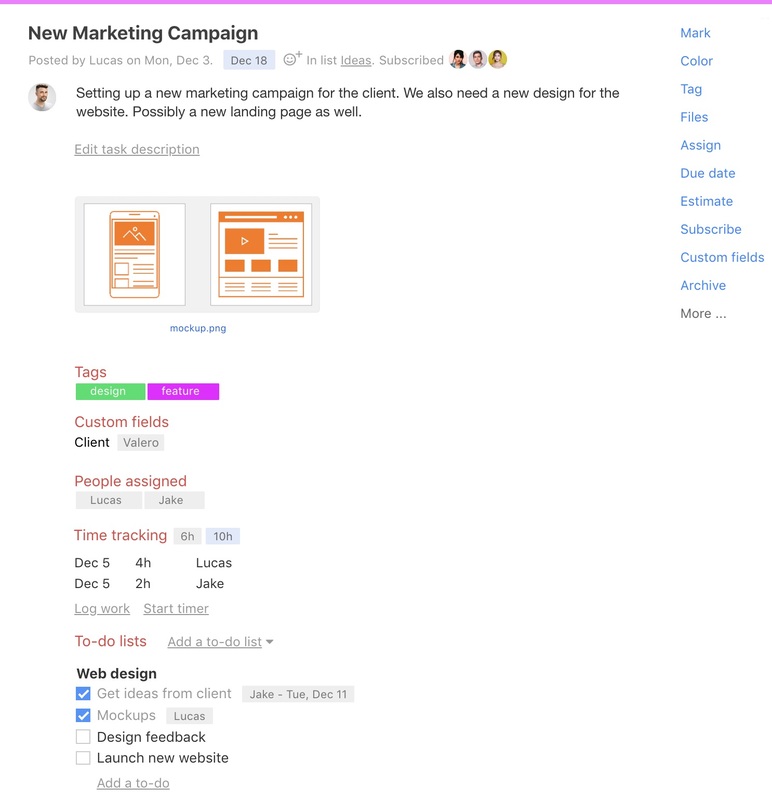 Breeze makes managing projects easy by letting you see everything in one place. Simple and effective task boards. Visualize your workflow. Breeze shows you what work needs to be done and lets you finish in less time. Plan and organize, work together. Breeze has everything you need to plan your work, brainstorm and collaborate. Easy to use editor, task assignments, estimates, time tracking, tags, files, due dates, statuses, colors, calendars, discussions and more. See where your team spends time and effort. Get reports for every aspect of your work - tasks, time tracking, users and tasks workload, tasks due, task completion. Breeze shows you what's being worked on, who's working on what, where things are in the workflow and how much time it took. Send reports to clients or management. Export reports or share them publicly. Instantly know when work needs to start and end. Project calendars, schedules and team workload management. Use the built-in calendar or sync with Google calendar, Outlook or any other calendar. Manage and plan your team workload. We believe that one tool should do one job and do it well. Breeze can be used by anybody without any training or guiding. We built Breeze to look and feel like a simple board. Breeze has a streamlined user interface that lets you focus on your work. Breeze is quick and responsive, simple screens, no extra configuration options. Breeze is made for people, not for machines. Breeze has all the feature you need to get work done and nothing more. Breeze isn't cluttered with features you'll never use. You can bring your favorite tools - Slack, Toggl, Harvest, Freshbooks, Github and more. Breeze is used by freelancers, small to medium-sized companies and large multinationals from every walk of life. Developers, marketers, project managers, accountants, designers have created more than 100,000 projects and 2,000,000+ tasks in Breeze to organize their work. Get work done. Join over 5,000 customers.